Ernesto Valverde is adamant Luis Suarez's recent Barcelona performances are not a cause for concern as he continues to get up to speed following the World Cup. Suarez started for Barca in Sunday's Supercopa de Espana triumph over Sevilla but looked some way off the pace. The Uruguayan missed a couple of chances he would normally be expected to bury, while his passing also left a lot to be desired. 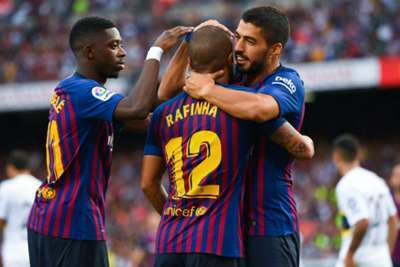 He featured from the bench as Barca cruised past Boca Juniors 3-0 in the Joan Gamper Trophy on Wednesday and claimed an assist for Rafinha's goal, though some suggested he was still far from his best. But Valverde is not worried, pointing out he started last season slowly and went on to score 25 goals in LaLiga. "Luis is fine," Valverde told reporters in his post-match news conference. "He's only just coming back from his [post-World Cup] break, so he's gradually getting up to speed, but he looks good. "Luis is a goalscorer. He's aggressive in the area. We know what he gives us. Regardless of his success [in front of goal], the fight is always there. "Last year, at the beginning, there were criticisms because it took him a while to start scoring, but when he started he did not stop. "He guarantees fight in front of the goal. It's a matter of patience and perseverance, and what Luis has is perseverance." 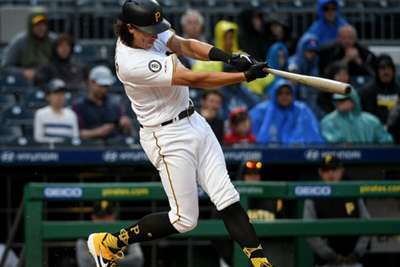 Tucker, who was unexpectedly called up from the minors Saturday, drove a 431-foot home run into the wind to center for the game winner.